It&apos;s a spectacular show, sure to fill your entire family with Christmas wonder and cheer. And it doesn&apos;t cost a single penny. Looking for free daytime fun? Visit the Old Mill in the heart of Old Mill Square. Built in 1830, this authentic Smoky Mountain gristmill is the only Pigeon Forge building listed on the National Register of Historic Places. Take the free tour to watch modern-day millers grind grain using the same methods and equipment as their 19th-century forebears. Watch as the Little Pigeon River&apos;s waters turn the giant millstones to power the Old Mill Wheel. Learn all about old-timey grist milling in the Appalachians... a fascinating piece of history! Plus, browse the Old Mill&apos;s shops to watch candy making and more. On November 8, at 5 p.m., Gatlinburg switches on more than 3 million lights to launch its annual Winter Magic Kickoff. Then, for the next three hours, local restaurants and businesses offer delicious piping-hot chili at scores of open-air downtown booths. The occasion? The annual Gatlinburg Chili Cookoff. For just $10 per person, you can sample a wide variety of scrumptious, savory chilis, ranging from mild to wild. You&apos;ll even get to vote for People&apos;s Choice Award (for tastiest chili), Best Booth Presentation prize, and Best Apron award. Not a chili fan? Come to enjoy the dazzling Christmas lights and the awesome live entertainment on multiple outdoor stages... all totally free of charge. Planning to be here on Saturday, November 11? Head to Ripley&apos;s Aquarium of the Smokies Plaza at 11 a.m. for the annual Gatlinburg Veterans Day Celebration. Free to the public, this patriotic event features stirring live music along with heartwarming tributes to our nation&apos;s veterans and currently serving military. It&apos;s a fitting, beautiful way to honor those who gave so much for our nation... and those who continue to safeguard our freedoms. Want to get in a quick game of golf? Come to Creekside Golf Course and Practice Facility in Seymour, Tennessee, just minutes from Gatlinburg and Pigeon Forge in beautiful Sevier County. Here you can play nine challenging holes amid breathtaking mountain scenery at very reasonable green fees. It&apos;s a great way to recharge your batteries in the crisp, cool mountain air. Also, check out the world-famous hiking trails in Great Smoky Mountain National Park. Always free to the public, these spectacular trails are even more stunning in late autumn when the leaves are off the trees and the vistas stretch for miles. Looking for an easy hike? Try the family-friendly Gatlinburg Trail, one of only two pet-friendly trails park wide. 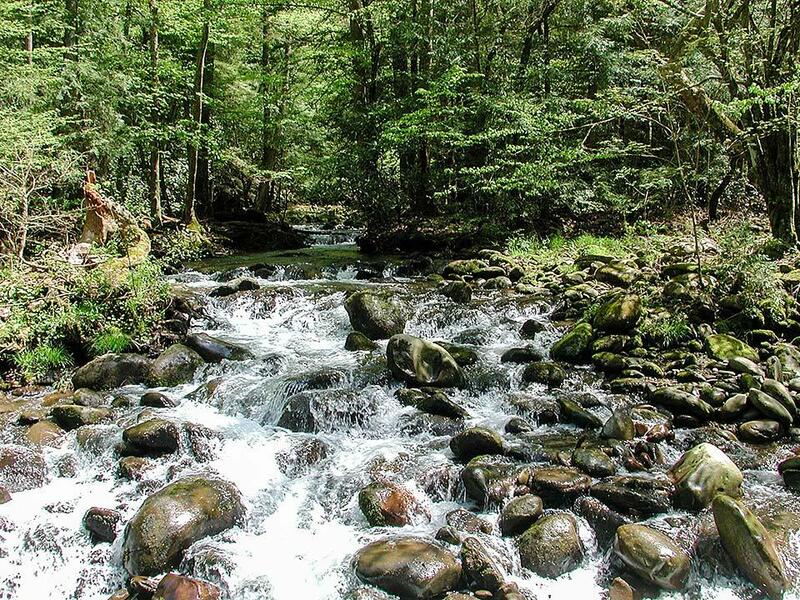 Just 1.9 miles (one way) from Sugarlands Visitor Center, this scenic nature trail runs through beautiful forest bordering the Little Pigeon River. Along the way, you&apos;ll glimpse the foundations of several old-timey homesites, a lasting testament to a bygone era. For a little more challenge, hike popular Laurel Falls Trail, beginning 3.8 miles from the Sugarlands Visitor Center. About 2.3 miles round-trip, this picturesque trail takes you to legendary Laurel Falls, a breathtaking two-tiered waterfall that plunges more than 80 feet over mossy rocks and outcroppings. To avoid crowds, come in the early morning or late afternoon... and be sure to bring along your camera. In 2017, Thanksgiving falls on Thursday, November 23, and it&apos;s a marvelous chance to enjoy that downhome Smoky Mountain cooking. Dine out at one of our fine local eateries, where you can savor succulent ham or turkey with all the traditional fixin&apos;s. Or, order delicious Southern takeout – such as deep-fried turkey – for delivery to your vacation retreat. If you wish, you can cook up your own delectable meal in your cabin&apos;s well-appointed kitchen.